New Year, New Books. Flipping & Estimating launch today! ForumsArrowQuestions About BiggerPockets and Official Site AnnouncementsArrowNew Year, New Books. Flipping & Estimating launch today! Have you been dreaming about flipping houses? If the answer is YES, how much will it really cost to renovate an investment property? 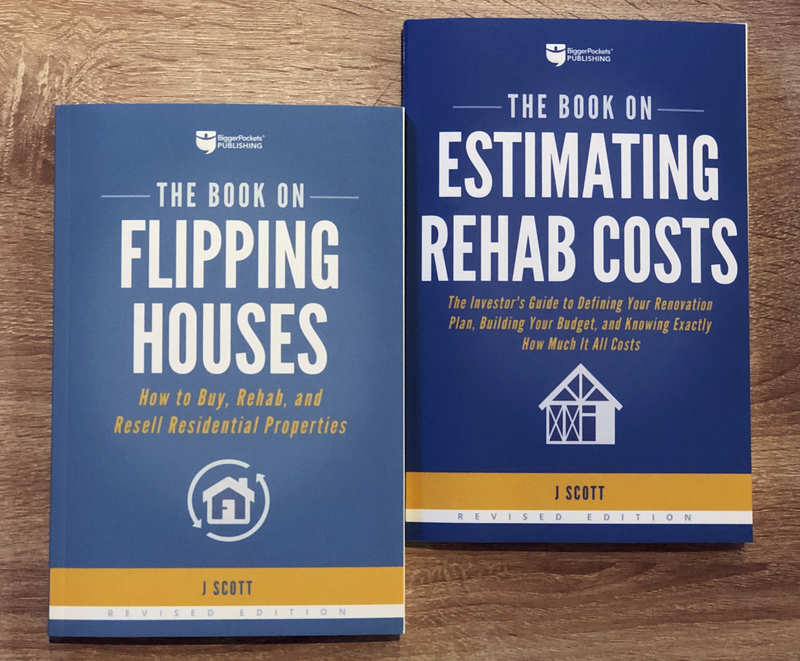 These revised editions of J Scott’s bestselling books will show you how to walk away with a profit. Both are written as an easy to follow, step-by-step blueprint—which makes them a perfect read for real estate newbies and experts alike. With one starting at only $19.99 (or save money by buying both! ), it’s simple to take the first step toward your house-flipping dreams in 2019! **BONUS: Not only did we entirely revise and update these bestsellers, but your purchase of one (or both) includes a FREE 5-chapter e-book: “What Every Real Estate Investor Needs to Know About Economic Cycles.” Learn how to take advantage of the housing market and make money at any point in the economic cycle! You can find more details here and order your copies here: Flipping book, Estimating book, and the discounted 2-book bundle. @Mindy Jensen thanks for the update! Can’t wait to read J Scott’s updated editions! The first edition was great, this one will surely be gold. I'll have to check out the updated Book on Estimating Rehab Costs. That was the most helpful book I've read on a sorely underdiscussed subject!